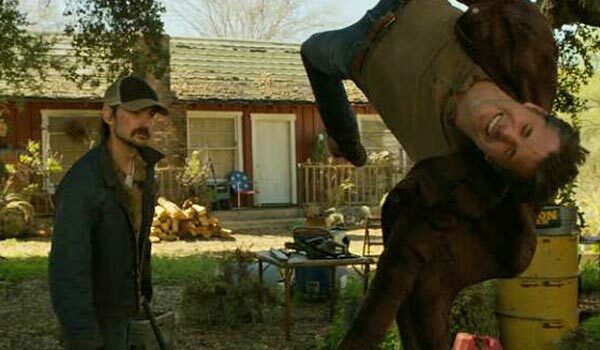 FX’s Justified started as a show with modest intentions. An unconventional law officer is forced to return to the swath of Kentucky he once claimed as home to bring down the area's most corrupt criminals. Its formula has always been one of bang-up action and complex narratives, but at its heart Justified has become a show about lawman Raylan Givens and outlaw Boyd Crowder. Now, with the sixth and final season hitting the schedule, a showdown between Givens and Crowder not only seems likely, it seems inevitable. Raylan and Boyd’s antagonistic relationship has been years in the making. The two men were friends when they worked in the mines as young men. Later, their relationship became more antagonistic, as Raylan made his choice to stay on one side of the law and Boyd took the opposite approach to life. Still, the two men are often and unexpectedly connected. They’ve fallen for the same woman (Ava Crowder) and occasionally united over common causes. They share the same father figure in Arlo and heritage in Harlan. And with the final 13 episodes set to air, these threads should unite for an epic standoff. Check out our list of the greatest moments between Raylan and Boyd leading into Season 6. Part of Raylan and Boyd’s relationship is seeing the two men try to outwit one another. 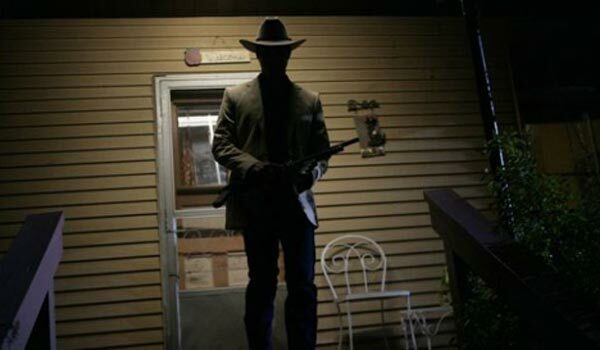 During the Season 4 episode “Decoy”, both Raylan and Boyd were searching for the mysterious Drew Thompson, who turned out to be the local lawman Boyd had put in office. Eventually, Raylan catches Thompson and decides to help him to get out of dodge, only to have Boyd figure out the plan, thanks to a deep knowledge of what backroads and exit plan Raylan Givens might put together. 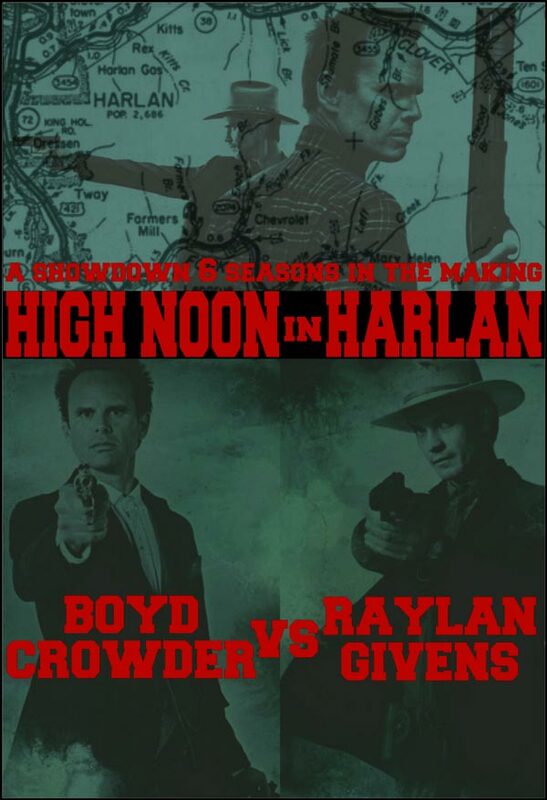 There’s a showdown at the high school and Boyd almost bites the dust, but Raylan capably helps him out of the bind, allowing him to live to take him down another day. Despite the antagonistic nature of the two men’s relationship, it is clear Raylan and Boyd would like to die by the other’s hand. During the Season 2 episode “Bloody Harlan,” Raylan actually gets himself into a spot of trouble when Dickie Bennett hangs him up in a tree and starts hitting him with a baseball bat. Seeing an opportunity, Boyd shows up and saves the day, as it wouldn’t be fitting for Raylan to be punished by the low-end Dickie Bennett. However, Raylan still manages to get the upper hand and convinces Boyd to save Dickie so that he can use Dickie to wrap up the case. Best Quote: Raylan convinces Boyd it is in his best interest to go see Mags. Boyd says, "You asking me or you telling me?" and Raylan replies, "If it makes you feel better, you can tell people I asked." 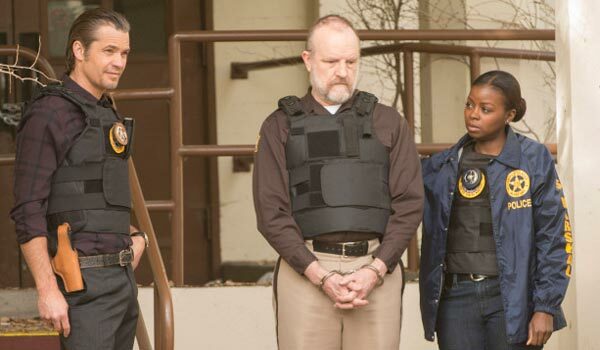 They may spend a good chunk of the series wanting to take each other out, but in the Season 1 finale "Bulletville", following the murders of Boyd’s flock by his own father Bo Crowder, Boyd turns to Raylan for help. Raylan even gives Boyd a gun when they go to take out Bo and his men and they unexpectedly continue to team up as some drug runners from Miami show up on the scene. It’s the stuff of carefully chosen speeches and plenty of guns blazing, and it shows how sometimes the best of enemies still sometimes need to lean on one another. Best Quote: Boyd to Raylan, following the murders of his religious followers, "I am lost, Raylan. I sent my flock to slaughter." 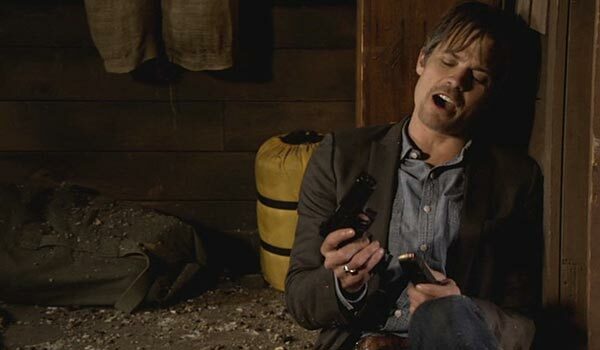 After keeping Boyd and Raylan apart during the early part of the fourth season, Graham Yost and company put together “Kin,” an episode which featured Raylan and Boyd’s bantering at its finest. The two men are still searching for Drew Thompson when they are both captured by the people who reportedly knew of Thompson’s whereabouts. Raylan talks himself and Boyd out of any trouble, but then handcuffs Boyd to a tree. It’s comedy at its finest, and highlights the needling that has become commonplace in the Boyd/ Raylan canon. Best Quote: Boyd on his relationship with Raylan (for once not mincing words), "I've come to a conclusion: I don't like you, Raylan." 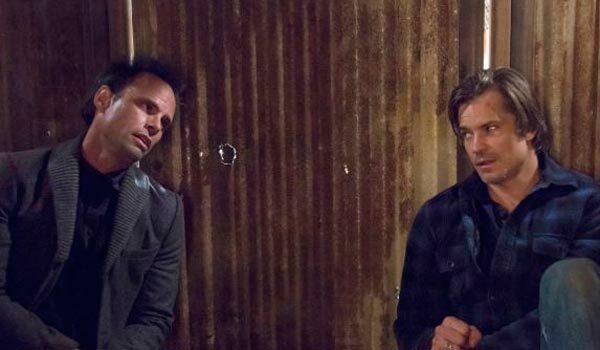 There’s a lot to be learned about fathers and sons in Justified. In the devastating Season 3 finale “Slaughterhouse,” we saw the immense strain between criminal Arlo and his law-abiding (ish) son Raylan reach a breaking point. The utter hate in the dialogue between Raylan and Boyd is undercut when Arlo decides to take a fall for Boyd, leading Boyd to escape Raylan’s clutches once again. It’s painful in its preciseness and still holds up as one of Justified’s most important episodes. It’s common knowledge that Boyd Crowder dies in Elmore Leonard’s “Fire in the Hole” story. However, during Justified’s pilot episode, also called “Fire in the Hole,” Raylan and Boyd meet at Ava Crowder’s house to draw a line in the sand, forgetting the former friendship they built mining coal with one another. Ava shows up with a gun but misses her shot at Boyd. Without hesitating, Raylan shoots his former friend in the chest. Boyd, of course, actually sets up the now-antagonizing nature of their friendship when he threatens Raylon early in the episode, telling his former pal it would be a good idea to leave town. Best Quote: Art, on Raylan not shooting to kill Boyd, "At Glenco didn't you teach those recruits to aim for the heart?" 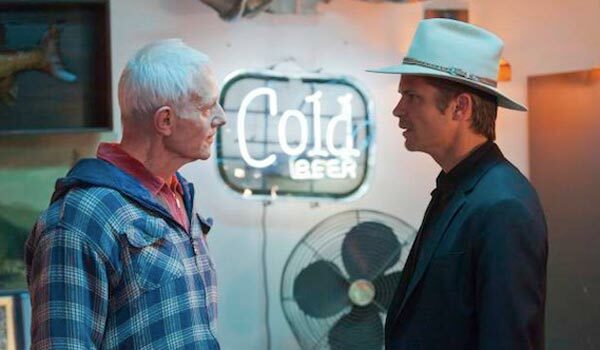 Justified's sixth and final season premieres on FX tonight at 10 p.m. ET.